Motorola has updated their Droid X page with a full FAQ section dedicated to their antenna design and process for approval. This obviously comes after the attacks from Apple and is an intelligent idea, we’re just wondering why it was tucked so deeply away. Of course this also comes at the same time as their now famous “No Jacket Required” ad. Q: When Motorola is designing a new phone, how does it take the design of the antenna into account? Is it a standard component that’s added in the same manner to each phone, or is it unique to each phone? A: Motorola begins the antenna design very early in the product design process, typically when the phone is in the initial design phases. The combination of size, features, materials, as well as the selection of the carrier customer, make the antenna design unique for each phone. Therefore each smart phone has a customized antenna design. Q: How do you test the antenna and certify that it works? What different types of tests do you run? A: Motorola has a series of internal radiated test requirements that are run before a phone can receive Motorola’s internal approval to be shipped externally. These tests are conducted in anechoic chambers that isolate the antenna performance and allow highly calibrated measurements. In addition to anechoic chamber testing, the phone is also is run through field tests with real users to gauge field performance. Q. Describe the call quality on DROID X. A: DROID X utilizes high performance dual diversity antennas along with innovative software algorithms (software code) to improve signal strength, reduce dropped calls and improve data performance. Over 80 software algorithm improvements have been developed over the last 5 years for the purpose of improving call quality. Check out the rest of the questions at the source link below. 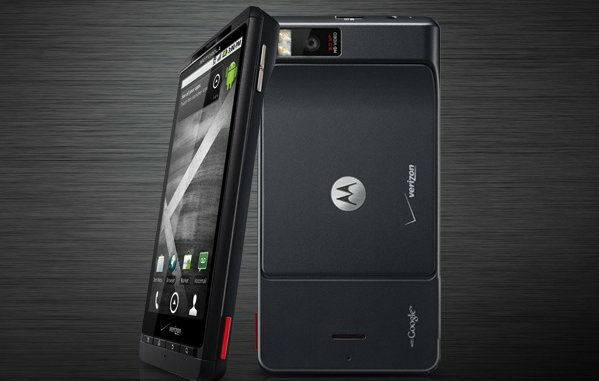 Verizon Confirms Android 2.2 for DROID Next Week?